Walking on a dirt road on Kuala Ranch in Hawaii. I'm currently working on a novel that has caused me to think a lot about repentance. A little while ago, I was researching repentance and I stumbled upon the word metanoia. 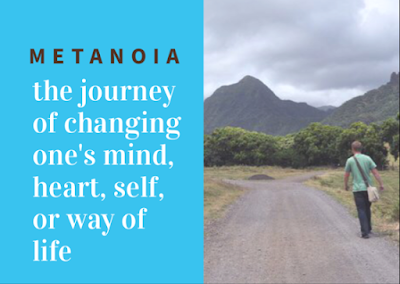 The word metanoia means "a transformative change of heart" or a spiritual conversion. The word conversion, itself, means "to turn altogether," or to change direction. I think, too often, I have confused repentance with a mere change in behaviors. Repentance can certainly include a change in behaviors. But true, deep repentance is much more than that—it is a 180 degree change of heart that fundamentally transforms us. Once transformed, we no longer desire to do certain behaviors. Throughout my travels, I have frequently taken a path that has led me astray. The realization of my mistake is sometimes embarrassing but always requires a course correction—a turn around. 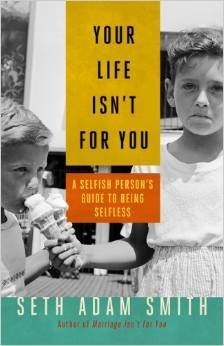 Metaphorically speaking, we frequently take the wrong paths in life—paths that lead us astray. The full realization of our mistakes is often embarrassing, but the quickest way home is to change accept our mistakes and change our direction—to turn around. This page has moved! Please click HERE to see the best wedding announcement ever !! Finally Married! © Copyright by Seth Adam Smith . Awesome Inc. theme. Powered by Blogger.